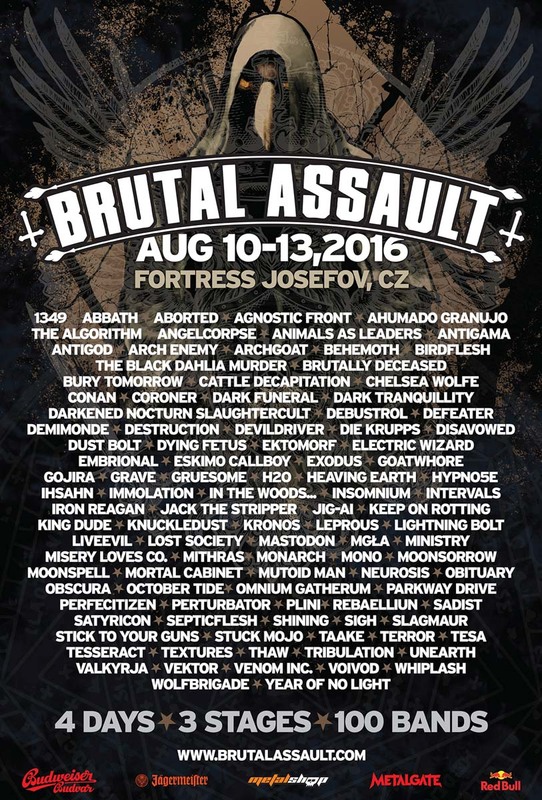 Norwegian black metal tornado 1349 will once again whirl a massive cauldron of chaos at Brutal Assault fest! Also returning after his successful performance last year is French master of retro futuristic synth dark wave PERTURBATOR with his new album The Uncanny Valley. Two bands of different spectre of death metal will join us, namely French BDM savagery KRONOS and long running Italian progressive band SADIST. One of the most interesting bands in the current Polish black metal scene THAW will also play BA 2016 alongside legendary Czech thrashers DEBUSTROL and a new Frantisek Štorm (of Master’s Hammer fame) project MORTAL CABINET.